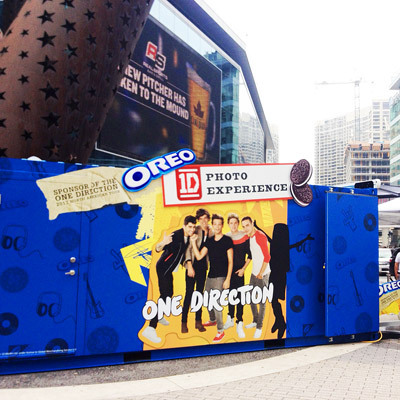 As the official cookie of the One Direction summer concert tour, Oreo wanted to give fans an experience that they could share with friends. 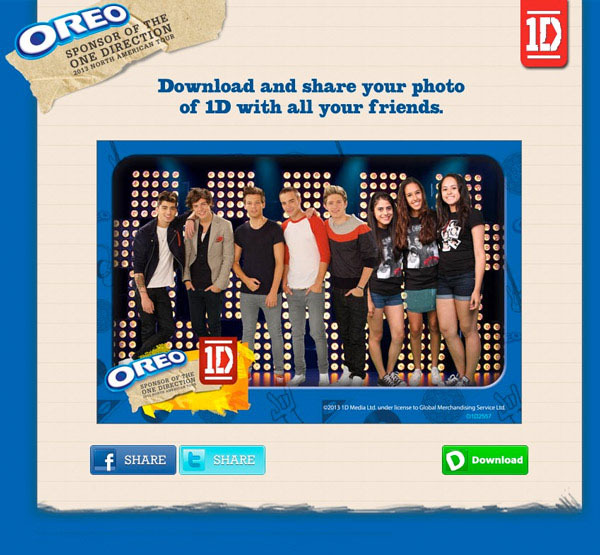 Fans were photographed against the green screen and placed in a scene next to the Boys (Niall was a crowd favorite!). Thousands of One Direction fans across the country took part.